SGPC says a Sikh is one with untrimmed hair. And so makes half the community apostate. This legal hair-splitting may strip Sikhs in Punjab and elsewhere of their religious identity. On January 16, the Shiromani Gurudwara Prabandhak Committee (SGPC), which runs all Sikh religious institutions in Punjab and is commonly referred to as the Sikh parliament, filed an affidavit in the Punjab and Haryana High Court defining who is a Sikh. Going by this definition, all those with shorn or even partially trimmed hair are 'patit' or apostate, even if they practise the faith in all other ways. Given that a lot of Sikhs today trim their hair, and many have done away with the turban too, the SGPC's definition would render more than 70 per cent of Sikhs apostates. It all began quite innocuously, when some students from Amritsar filed a petition before the Punjab and Haryana High Court for being denied admission under the 'Sikh quota' in an SGPC-run educational institution on grounds that they did not qualify as 'Sikhs' because they had trimmed their hair. The students contended that they were 'Sehajdhari Sikhs', a term loosely used for Sikhs with shorn hair. At this, the high court asked the SGPC to define a 'Sehajdhari Sikh' exactly and the importance of hair in Sikhism. Its response triggered a furious debate within the community on a subject that is vital to their identity. The SGPC had filed an affidavit in December, where it said it wasn't mandatory for a 'Sehajdhari Sikh' (which it defined as novices entering the Sikh faith) to preserve body hair. However, if a Sehajdhari took the next step and became a 'keshdhari', any trimming of hair subsequently would make him 'patit'. Conservative Sikh religious bodies and institutions baulked at this accommodating definition, accusing the SGPC of diluting the faith and playing into the hands of "RSS elements within its ranks". Rattled, the SGPC filed an amended affidavit on January 16, categorically declaring that those with trimmed hair had no place in Sikhism. This, in effect, extended recognition to only two categories of Sikhs—Amritdharis, or baptised Sikhs, also called 'Khalsas'; and Sehajdhari or novice Sikhs. Amritdhari Sikhs, who are few in number, undergo an "amrit chakhna" baptism, taking vows that bind them to a set of very stringent rules. The new definition puts those who are not baptised and also trim their hair, beard or eyebrows as 'patits' even if they are born Sikhs, believe in the Granth Sahib and the gurus, and perform prayers and other ceremonies as per Sikh traditions. 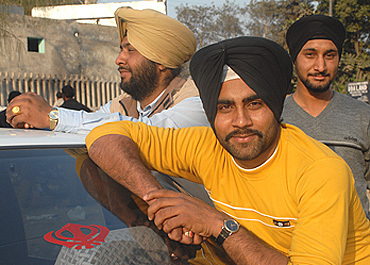 An overwhelming number of rural Sikh youth and NRIs born in Sikh homes fall in this category. This amended definition, though it has appeased conservative religious bodies, has caused considerable unease, even disgust, within the wider Sikh community at what is being seen as increased rigidity and intolerance in a religion that was born out of a reaction to fundamentalist forces in medieval times. Even some 'hardline' Sikhs have expressed disapproval. Declares advocate R.S. Bains, best known for his determined defence of Khalistan extremists in the courts: "I am a shorn Sikh and till his retirement, my father, Justice (retd) Ajit Singh Bains (a well-known Khalistan sympathiser too), also had shorn hair. If we are not Sikhs, then who is? Even at the height of the Khalistan movement, most militants were clean-shaven. By ignoring reality, our religious clergy is risking cutting itself off from the mainstream with its narrow vision." The all-pervasive presence of 'shorn Sikhs' was starkly brought before the courts when, in the course of a hearing, one of the judges noticed that the counsel for the SGPC, Gurminder Singh Gill, was himself an apostate, as per the definition he had placed before the court. Nevertheless, Gill told Outlook: "For myself, I am very clear that if I am in a faith, then I should conform or be prepared to be tagged as an apostate. The physical form of a Sikh is manifested through unshorn hair. 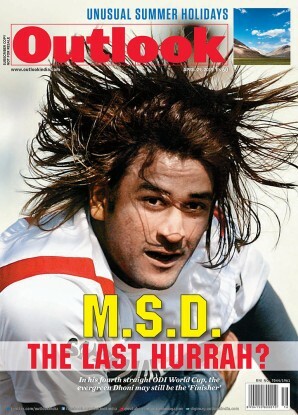 Not only does he have the duty to keep his own hair unshorn but also that of keeping his child's hair intact." Well-known theatre director Neelam Mansingh, who hails from a prominent Sikh family of Amritsar that boasted of several priests, adopted a more liberal interpretation of her faith when she agreed to the wish of her two growing boys to shed their turbans. "Soon after the boys had cut their hair," she recalls, "my father came to live with us. I was very apprehensive of his reaction. But he did an 'ardas' for the boys and told me that Guru Nanak never had long hair. And that it is written in the Guru Granth Sahib, 'Baal mein na dharam hota hai, na karam' (Neither duty nor honour lies in the hair). Mansingh added: "We Sikhs need to become more open, and preserve the beauty of our faith rather than get dogged about external forms. The SGPC is alienating a whole generation of youngsters.... It does not really represent the vast majority of Sikhs." One of the first to raise his voice against the new definition of Sikhs was the resident editor of the Hindustan Times Chandigarh edition, Kanwar Sandhu. In a candid weekly column, he wrote about his own failure to adopt the rigorous rules followed by a baptised Sikh, yet argued persuasively that it didn't affect his right to be a believing Sikh. Opposition to the SGPC's rigid stance is also coming from within the clergy. Bhai Ranjit Singh, a former jathedar of the Akal Takht, told Outlook, "As I see it, 'patits' or apostates are only those who have defaulted (trimmed their hair) after getting baptised. It does not apply to non-baptised Sikhs. The rights of a Sikh, born into a Sikh family, cannot be taken away on these grounds." Almost everyone agrees that the SGPC, having been far too busy with politics, has done precious little to inculcate Sikh norms and values among the community, and is now trying to assert itself by dictating rigid rules and conditions. Sandhu, for instance, points to the inability of the ruling Akali Dal, the all-powerful political limb of the SGPC, to enforce Sikh rules and tenets despite having been in power several times over in Punjab. "Though all forms of Sikhs can enlist in the armed forces, only those who strictly follow the Sikh Rehat Maryada (religious code) can enlist in the Sikh regiment.... Ironically, there is no such stipulation in any wing of Punjab's own police!" he points out. As for the down-to-earth Punjabi farmer, he couldn't care less about quibbling theologians. He would rather go by what the state's best-known floriculturist Avtar Singh Dhindsa has to say: "Whether I display the outward forms of my religion or not is a personal matter. It does not take away my Sikhism from me." In fact, he adds, "I may be a better Sikh than them in many ways." Amen.